This is not a proper blog entry. I just took a lovely photo while Fiona and I were out at a local pub this afternoon, and I thought I'd share it. 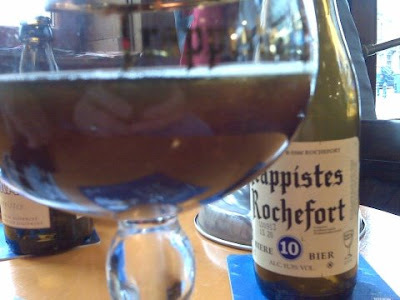 Rochefort 10 is reviewed elsewhere.